Explore how digital practices are impacting humanities disciplines. Craft your own 12-credit program in digital scholarship and research. 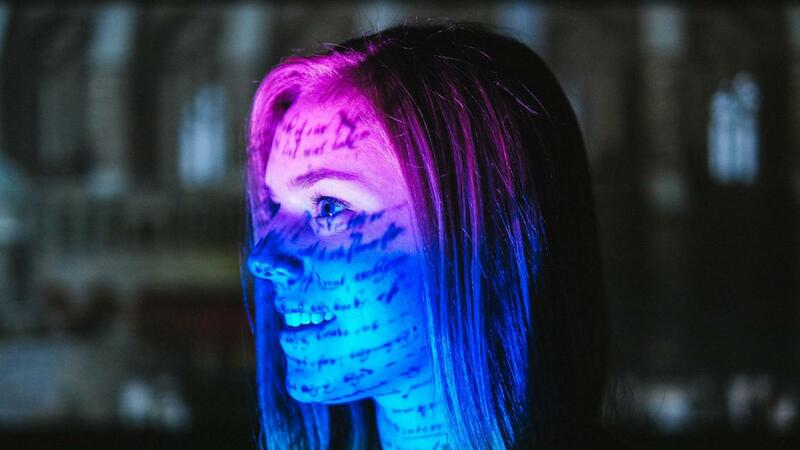 Digital humanities is a fast-evolving field, shared across academic disciplines and cultural institutions, interested in the digitization of humanities materials, digital methods for research, and the critical study of new media. With a graduate certificate in digital humanities, you can enhance your credentials to pursue academic research, public engagement and professional goals. NC State’s unique program allows degree or non-degree seeking graduate students to design a curriculum of interdisciplinary study at the forefront of digital methods in the humanities. As the digital humanities comprises a big tent of disciplinary and technical pursuits, our graduate certificate affords students a similarly diverse experience of flexible curriculum, interdisciplinary faculty and staff, and world-class research resources and facilities. The graduate certificate at NC State participates within the broader community of the Triangle Digital Humanities Network, including the National Humanities Center, Duke University and an existing certificate program at UNC-Chapel Hill. Together with NC State, these resources present an array of training and support opportunities for students and instructors as they innovate in DH fields such as cultural heritage digitization; media history and technologies; analysis and critique of digital culture; applied programming for analysis and visualization; project management; interface design and user experience; and/or digital pedagogies. Currently enrolled in, or completed, a Master’s or PhD program at an accredited university. Degree students must have a 3.00 grade point average in their graduate degree program at the time of application. Non-degree students must have a final grade point average that is at least 3.00. Context: A survey of past, present and/or future digital humanities research, teaching and alt-academic careers. Training: Hands-on, experiential learning in media platforms and/or computational praxis, such as learning a programming or markup language, design software, interface protocols, project management, or other media-specific practices. Applied project: A research project developed under the guidance of a participating faculty mentor in a course. No single course can be approved for more than two of these three requirements. If there is a course on the listing that does not explicitly state which of the three thematic requirements it meets, students are encouraged to discuss with the certificate coordinator. Current degree students in English or CRDM may include no more than six (6) credits from the certificate program toward their degree program. TAs must consult with their adviser or TA supervisor to approve the plan for completing certificate courses in conjunction with the student’s ongoing degree work and assistantship responsibilities. Current degree students in History can apply up to nine (9) towards a doctorate. Students seeking the certificate from other programs must consult with those graduate coordinators to confirm allowed credits toward degree. Up to three (3) credit hours of completed, approved coursework may be transferred. All certificate requirements must be completed within three (3) calendar years beginning on the date the student commences applicable courses. Credit for the certificate can be earned with a different roster of approved courses than the application initially proposed, upon approval of the certificate coordinator. Additionally, the certificate requirements and policies follow the standards outlined in NC State's Graduate School Handbook for Graduate Certificate Programs.